Everyone should visit Hong Kong at least once. 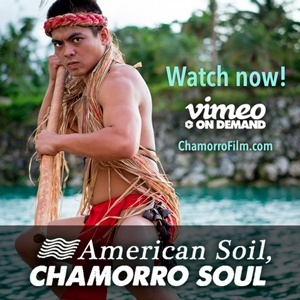 It’s a sensory-busting experience at hyper-speed so if you’re from Guam, you’re probably due for three days or so of this exact kind of stimulation. Hong Kong is not the kind of city you visit without an agenda. Even if that agenda is as simple as sightseeing and shopping, you need a reference point to navigate the bustling city streets and crowded alleys. Fortunately, Hong Kong’s metro (MRT) is one of the best and cheapest in the world. Just purchase an Octopus card for multi-rides and map out your destination before you get packed like sardines into a subway car in this cosmopolitan city of 7 million. Just an hour-long ferry ride from Hong Kong, Macau is a must-see, must-do destination in Asia. That means that in just 6 or so hours, you could go from Guam to one of China’s most culturally diverse cities! 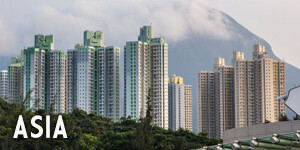 This burgeoning metropolis is relatively safe and is not part of Communist China, but retains the same political status as Hong Kong as an SAR (special administrative region). Long billed as a gambling destination, Macau is a city rich with European history, having been occupied by the Portuguese for 500 years. One minute you’re in a multi-billion dollar entertainment complex like Sands and the next you’re walking down narrow cobblestone streets in search of hot street food. 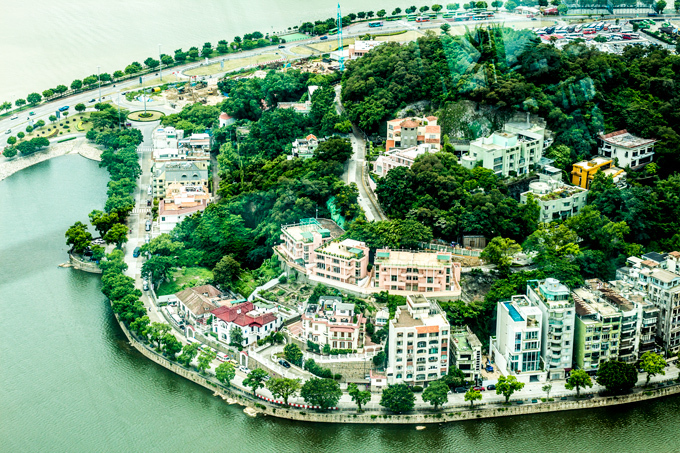 To call Macau charming is an understatement. Without stepping foot in a casino, there is plenty to entertain visitors of all ages. 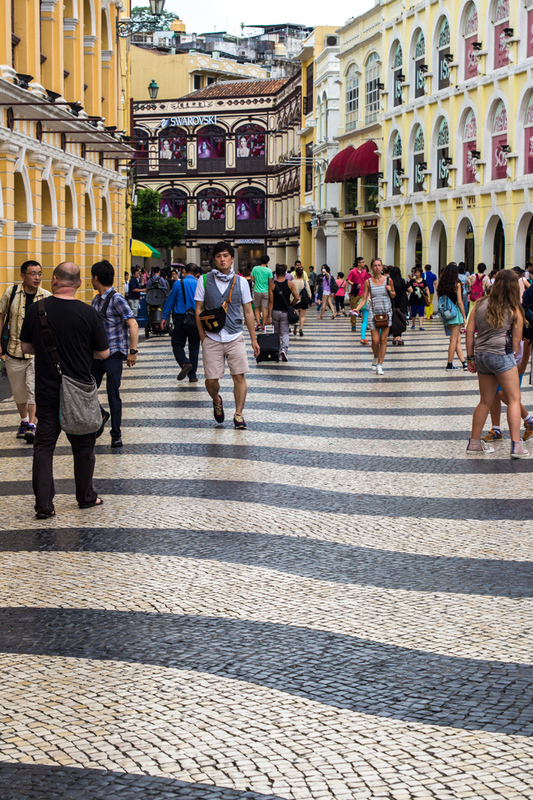 See for yourself why Macau receives 30 million visitors a year. 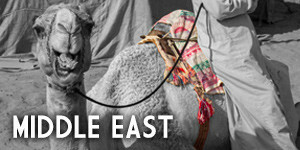 It’s so much more than the Vegas of the East! 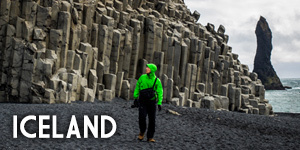 With or without a guide, you can see most, if not all, of these sites within a couple of days. 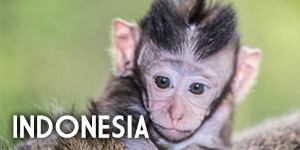 Enter to win a travel package! It’s not hard to get out of bed when you see the Hong Kong skyline revealed through your hotel room curtains. You pull back the curtains to see that although it is quite early, cars and people fill the city’s narrow arteries. You’re staying at the Royal Pacific Hotel & Towers which is compact and modern with city and harbor views. You gear up for the day — lightweight clothing, walking shoes, umbrella, and camera — and head downstairs to breakfast. Wow. This is breakfast? The feast known as your buffet breakfast is a pleasant preview of meals to come. In fact, there’s far more than breakfast food in this chic dining room. 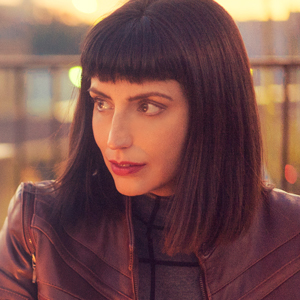 You are tempted to eat more, but the city calls and you don’t want to have to roll yourself down the street. Your single day in Hong Kong will be a sensory-busting experience. 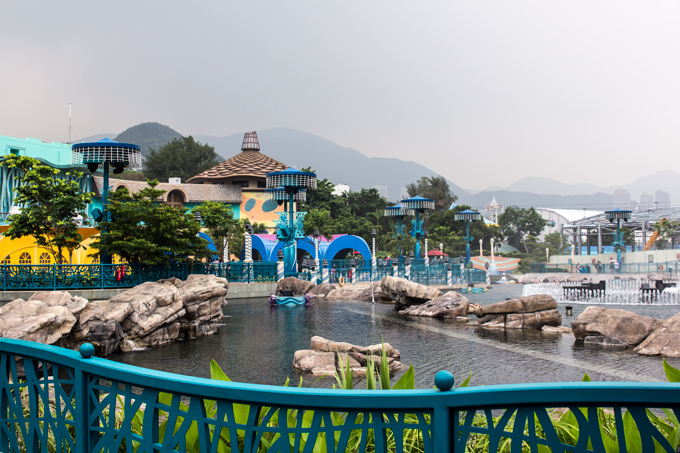 You get an early start at the massive Ocean Park — Hong Kong’s answer to SeaWorld, but much more animal-friendly (they don’t have Orcas). You hop on the clean and efficient metro system (MTR) and within minutes are there. Upon entering Ocean Park, you pause to snap a few pictures at the larger-than-life water feature and animal statues at the entrance. You see cable cars climbing up a mountain in the distance and are drawn to them. You walk down a street that looks like a movie set in Old Kong Kong. You are soon seated in an open-air gondola bound for the sky. You whip out your camera to snap boats in the harbor and the park getting smaller and smaller below. Within minutes you are experiencing a Polar Adventure and are glad to feel the ‘Artic’ air as you watch penguins feed and seals dart through the pools. 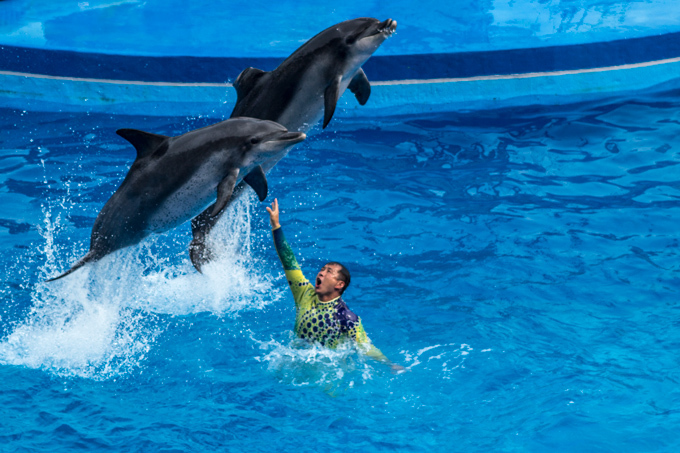 Seated at Ocean Theatre, you find yourself gasping with awe at the twists and turns a trio of dolphins makes as it leaps dramatically over a trainer in the water. The crowd laughs as a trio of seals responds to commands from a cast of characters in this “Ocean Wonders” show. 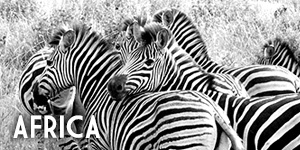 The message to support conservation is not lost on you. In fact, the conservation message features heavily throughout the Ocean Park exhibits and shows. It’s pre-lunch so you figure it’s a good time to experience the hair-raising thrills of the park’s rollercoasters and rides. Whew! There goes the hairdo. Thoroughly thrilled, you head to the Amazing Asian Animals section to see giant pandas feeding on bamboo and the elusive red panda slinking through tree branches. It’s lunchtime so you pull yourself away from the furry cuteness to dine at Neptune’s Restaurant where you sit facing a ginormous tank containing more than 5,000 fish from 400 species. 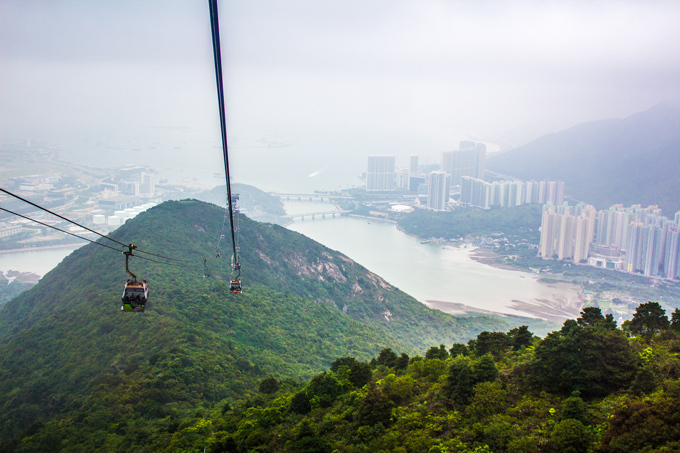 You board the MTR en-route to Ngong Ping 360, a short walk from the Tung Chung station. You’ve seen pictures of the world’s largest seated outdoor Buddha statue, now you’re going to climb the 268 steps to the top of the statue to see it up close. 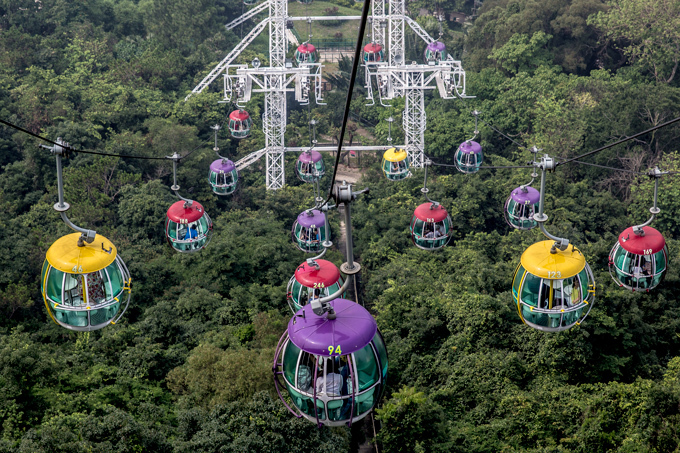 You board a glass-bottom gondola known as a ‘Crystal Cabin’ for a 360-degree view of Lantau Island during your 25-minute ride up the mountain. You see fishermen sorting clams as you pass over Tung Chung Bay. Fog envelopes the green landscape as you climb higher during the 3.5 mile cable car ride. You can see as far as the China Sea and even the airport. Exiting the car, you enter a Chinese-style village lined with souvenir shops and restaurants. You didn’t intend to shop, but a window full of gorgeous Mandarin-collar tops catches your eye at a shop called Vintage Vintage. You don’t have to be Buddhist to have a Zen moment in a park this beautiful. 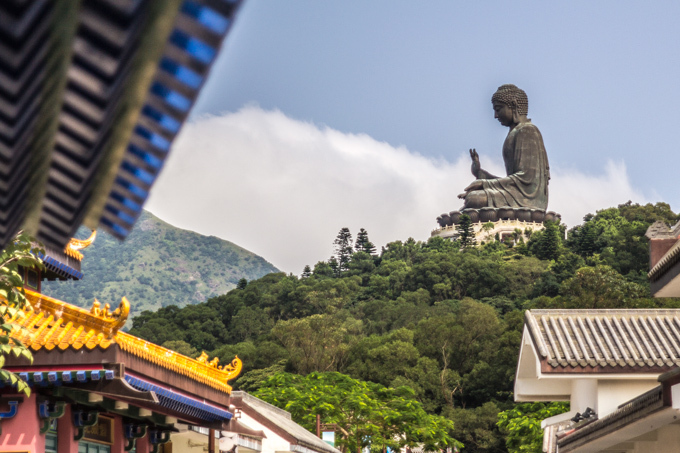 Chinese statues with animated faces known as the “Twelve Divine Generals” line the Bodhi path to Tian Tan Buddha. Wow. It’s huge. At 111-feet tall, the bronze Buddha is impressively seated on a lotus throne. You can see the roof of the Po Lin Monastery, which beckons a close look. The colorful working monastery is heavy with incense. Devotees bow piously and quickly at the incense altars. You can hear monks chanting behind the walls. 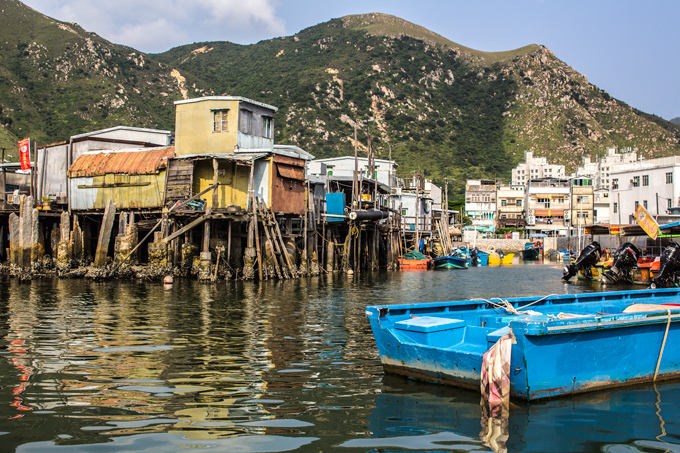 You board a bus to one of Hong Kong’s few remaining fishing villages, Tai O. From a speed boat loaded with tourists, you see colorful houses on stilts with Lantau mountains in the backdrop. Two cats are perched near the water, eager to glean any remnants of the day. The boat leaves the channel and within minutes you’re in the China Sea playing “Spot the dolphin.” Fellow passengers erupt with glee as a pink fin is spotted just feet from the vessel. Then another! And another! 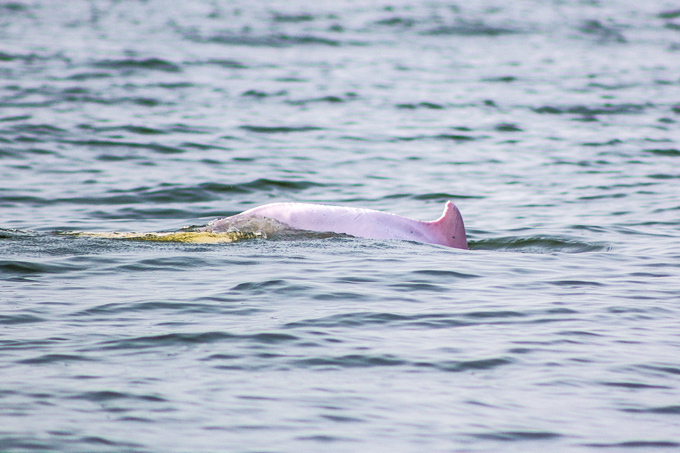 You had no idea the Chinese White Dolphin was actually Pepto pink. The elusive creatures seem to be circling the boat, though none of them breach for very long. You are in awe. And you are hungry. Again. You have a reservation at Tai O Heritage Hotel for afternoon tea. 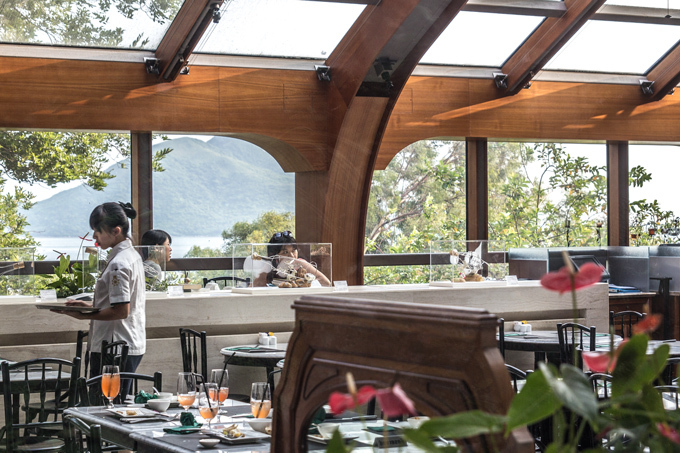 The elegant dining room on the second floor has a wall of windows where you can view the sea as well as a lush forest. Your tea and light appetizers hit the spot. You grab some cabbage dumpling soup on the way back to the hotel, perfectly satisfied with this bowl of perfection from a hole-in-the-wall. You take an early bedtime in anticipation of a packed day two. You check out of the hotel and are Macau-bound on the Chu Kong High-Speed Ferry from the China Ferry Terminal. You arrive at Taipa Ferry Terminal an hour later. 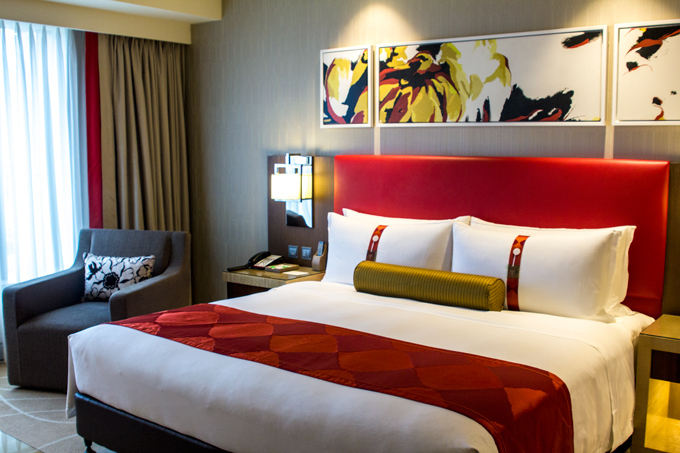 A bus ride later, you check-in to the impressive Holiday Inn Macao Cotai Central. 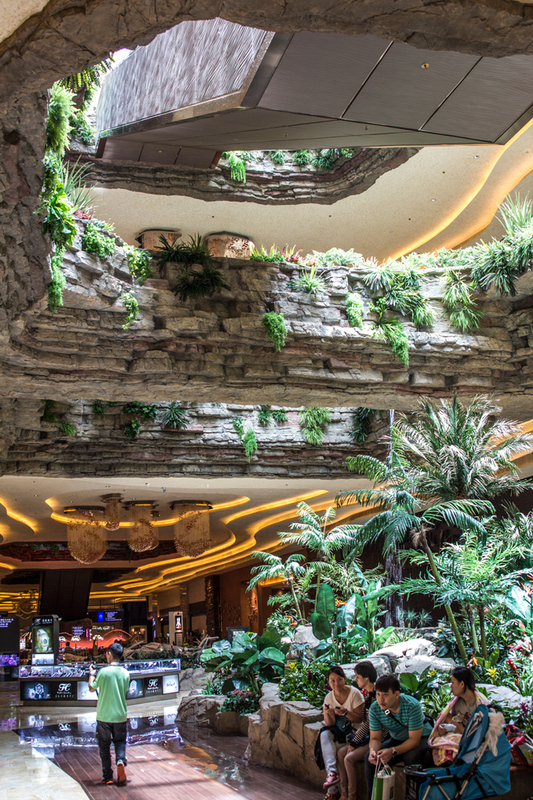 You’ve never seen a Holiday Inn like this. That’s because it’s the first of its kind in the world — a 5-star version of the faithful franchise. Holiday Inn’s first 5-star hotel lives up to the rating with impressively chic everything. 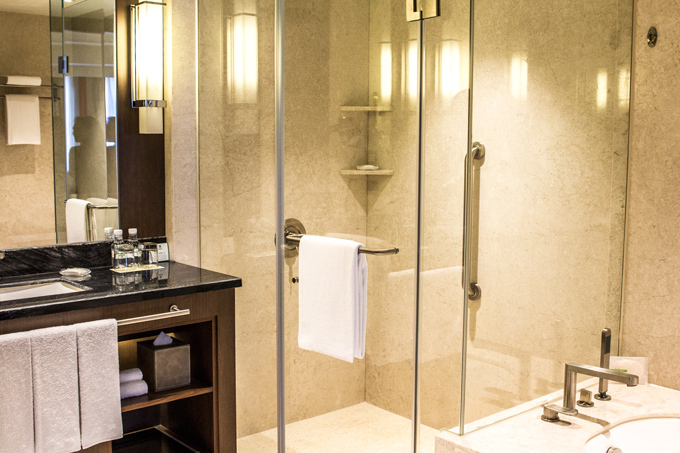 The 1,224 guest rooms are outfitted with all the creature comforts you need, including free WIFI, shower and soaking tub, which you’ll use liberally after pounding the cobblestone streets of Macau. You even have the choice between soft and firm pillows. The Holiday Inn staff is incredibly responsive to your every need and delivers the toiletries you request within seconds. 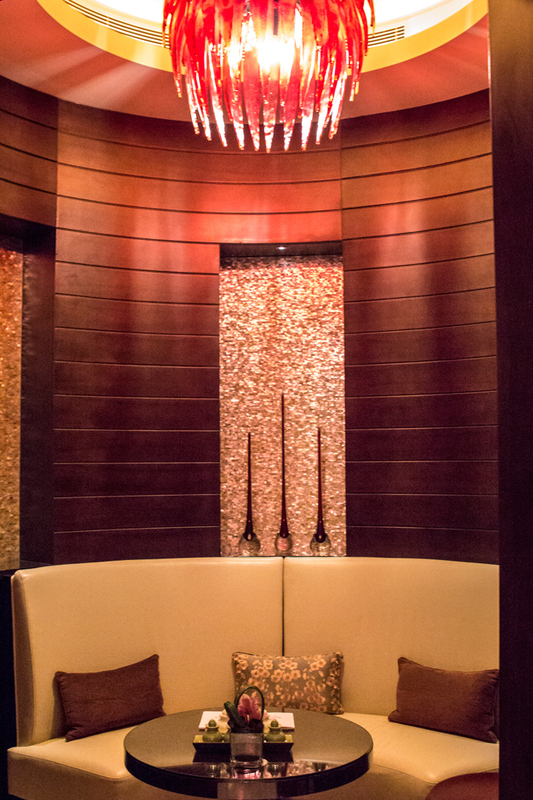 You surrender to the temptation to book indigenous Australian stone therapy at the Bodhi Spa for tomorrow evening. The Shoppes at Cotai Central are footsteps away with lots of entertainment and dining options for travelers of all ages. 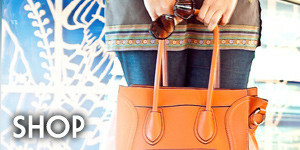 You do a little shopping before pulling up to the table at Dynasty 8. 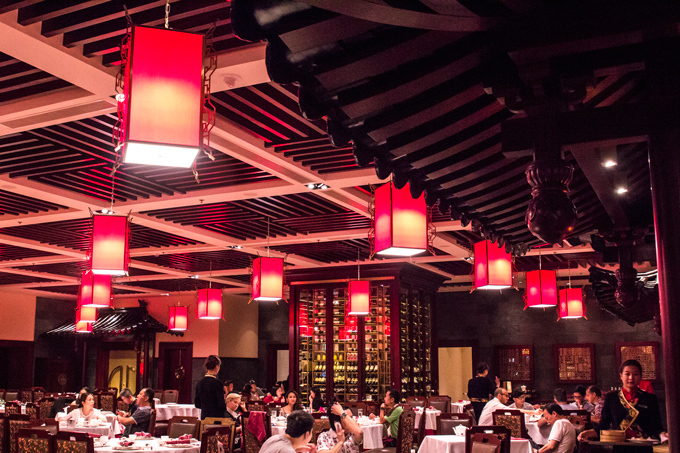 The service is impeccable and the meal is some of the best Chinese food you’ve ever tasted. The world’s largest Holiday Inn is a multi-award winning integrated resort, meaning it shares real estate with Conrad and Sheraton hotels and is across from The Venetian. There’s no way you’re not getting in a gondola. 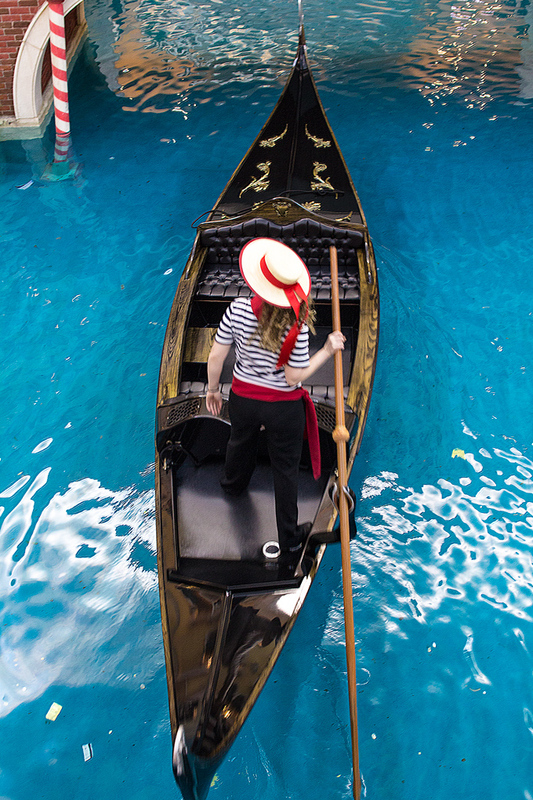 You smile as an enthusiastic gondolier serenades you in Italian. 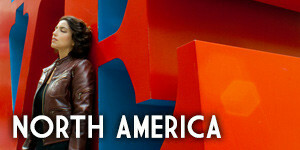 You find out the charming woman with bouncy blonde curls is indeed from Italy. As you browse your way through the myriad of high-end shops, you find yourself doing a 360-degree turn to take in all the ceiling art. A quartet of attractive women are playing amped violins in the center court. They’re so good you wonder if they’re really playing. Yep, they are, an employee tells you. On your way back to the Holiday Inn, you’re surprised to find yourself excited at the prospect of interacting with the huge Shrek costume bounding your way. 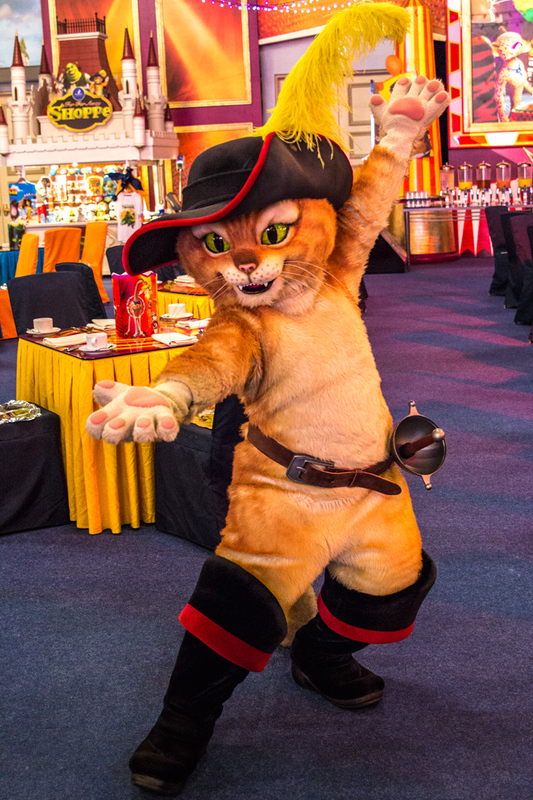 You’ve arrived to Cotai Shoppes just in time for the free daily DreamWorks parade. “I like to move it, move it,” gets stuck in your head as you head back to the room for a quick nap and a soak in the bathing tub. Refreshed, you dress for dinner then head to Golden Peacock in The Venetian. 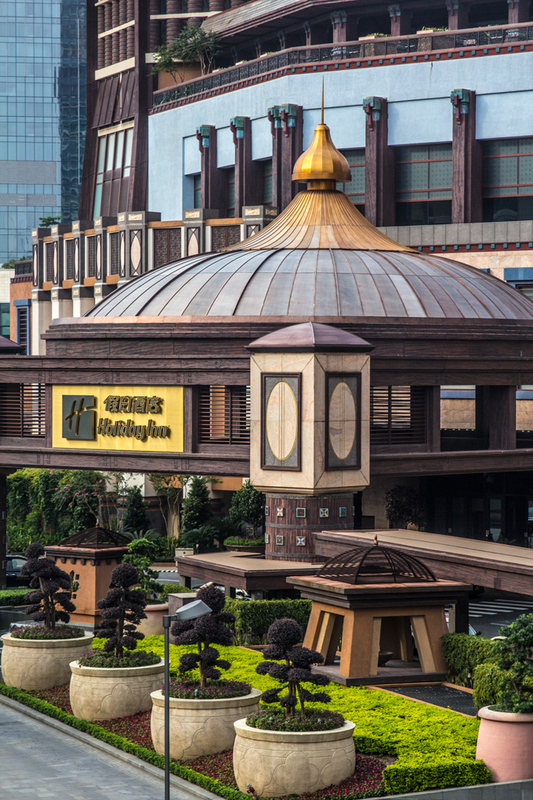 You’ve read that Golden Peacock is a must-eat in Macau. Not only is the decor drop-dead gorgeous, the menu offers just the right balance of modern and classic Indian dishes for both meat lovers and vegetarians. Every angle of this restaurant sparkles, but you congratulate yourself on choosing the best seat in the house, facing the glass-walled kitchen to watch the tandoori oven in action. You learn that inventive chef Justin Paul uses 28 spices flown in from India including ground rose petals for the rose flavored ice cream. Now you know why this is the first Indian restaurant in Asia to receive a Michelin star. You roll into bed happy and satisfied. You dress casually for a day pounding the cobblestone streets of Macau, but not before you experience DreamWorks Shrekfest. Your breakfast buffet is character-themed and you don’t mind biting into Kung Foo Panda steamed buns. Before you’ve had your second helping, you are taking a picture with a lovable but cheeky Puss ‘n Boots. It will be a good week on Instagram, you think. There’s Shrek again and he’s accompanied by the enterprising and entertaining penguins from “Madagascar.” “Toothless” the dragon closes the show and you have your iPhone poised to capture that bit of magic too. You promise that your fifth round to the buffet will be your last. You take a bus to the old section of Macau for a historical walking tour. 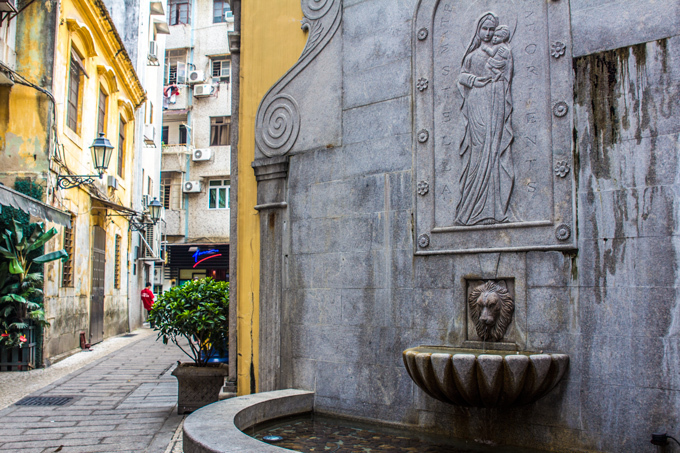 Old Macau is an area that begs to be discovered on foot, camera in hand, belly empty. You start with a visit to the Museu de Macau to learn about the Portuguese colonization of the 1550’s. 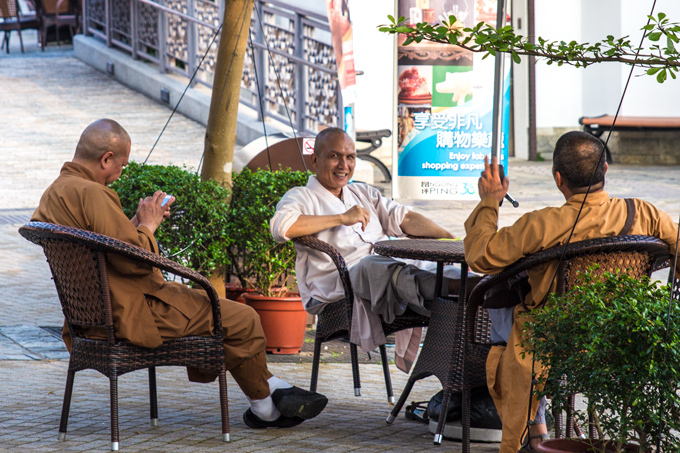 You learn that there is nowhere else in China where Portuguese and Chinese culture so thoroughly co-mingled to produce one-of-a-kind food, architecture, and people. St. Paul’s Cathedral is a hop, skip, and a jump from the museum. The façade was rebuilt after the church was destroyed by a fire during a typhoon in 1835. Directly outside the cathedral is a Chinese installation of brightly colored lanterns. These two symbols illustrate the symbiosis of the Chinese and Portuguese cultures in Macau. You wander the cobblestone streets all the way to Senado Square, a photographer’s dream. You’ve worked up an appetite so you walk a few blocks to Restaurante Litoral. 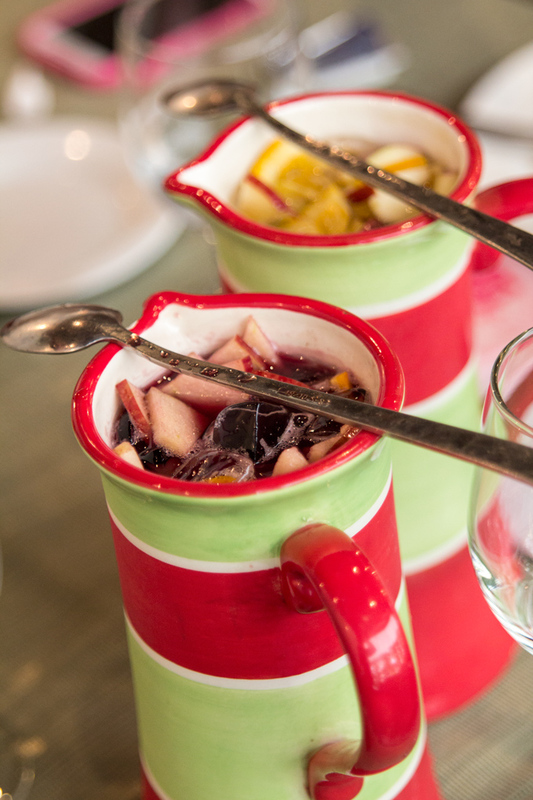 You sip the best sangria you’ve ever had and are glad to see this side of the city. The quaint Macanese restaurant couldn’t be farther from Macau’s glitzy strip and that’s a good thing. 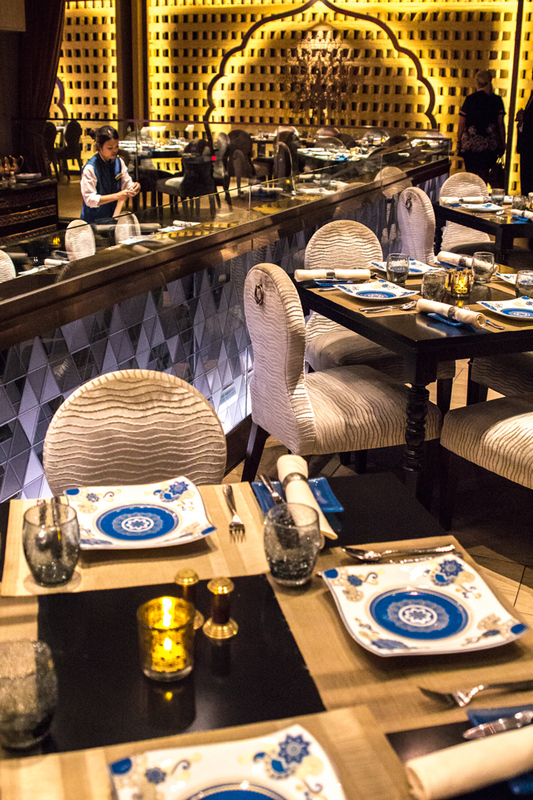 The effortlessly charming decor is classic Portuguese, but the cuisine is decidedly Macanese and you learn that there is a difference. The Chinese riff on Portuguese food yields caldo verde soup, spicy red rice, and the perfect beverage to wash it down — red or white sangria. You favor the red. You take a taxi to A-Ma Temple. 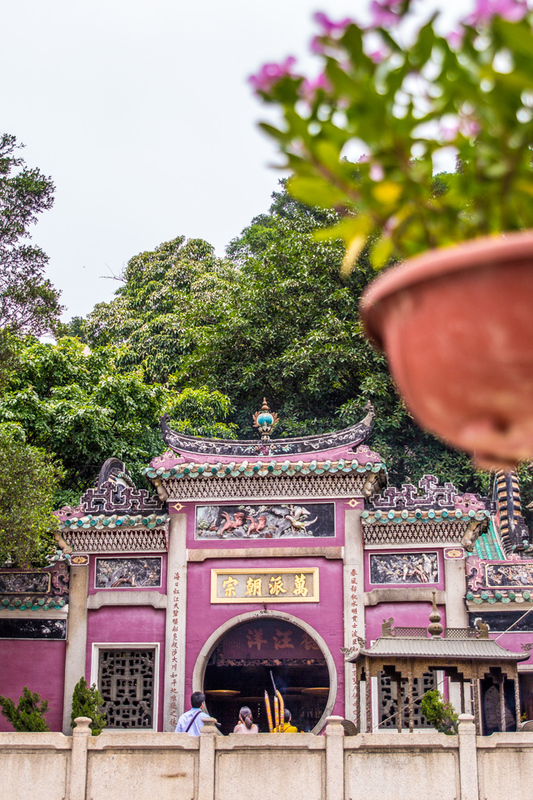 This Buddhist temple is situated on the Macao Peninsula and was a last stop for fishermen wishing for safe passage from Macau. 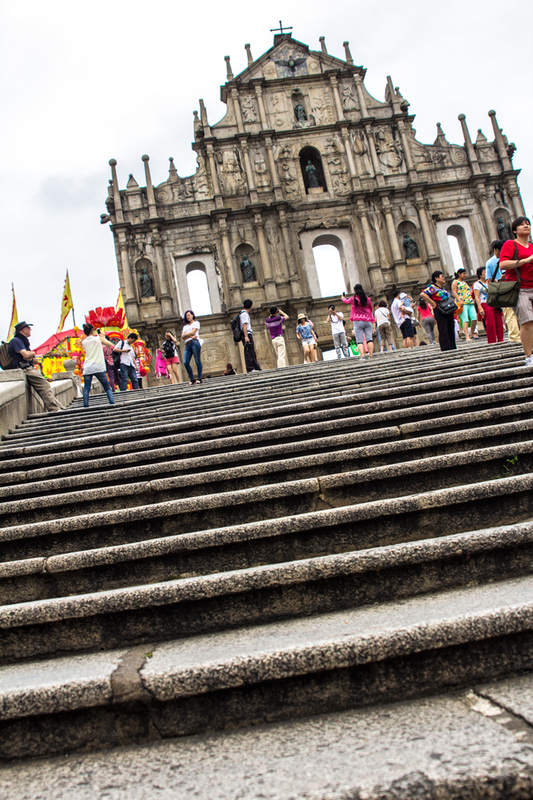 It is one of Macau’s oldest temples, built in 1488 and dedicated to Matsu, goddess of seafarers. In fact, the name Macao is thought to be derived from the A-Ma Temple. In 2005, the temple became one of the designated sites of the Historic Centre of Macau on the UNESCO World Heritage List. Strong incense wafts through the place. Soon you’re in an elevator climbing to the observation deck of the Macau Tower for unparalleled views of the city. 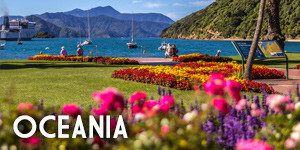 You opt out of the world’s highest bungy jump. Your courage is tested just by walking along the glass floor at the observation deck more than 700-feet in the air. You admire the pastel colored buildings and even see the under-construction Hong Kong–Zhuhai–Macau Bridge that will be the world’s longest at 31 miles. You take a taxi back to the Holiday Inn to be worked over head-to-toe by a very capable massage therapist at Bodhi Spa. She wakes you gently to tell you your therapy is complete. Travel sponsored by United Airlines. All opinions my own. I am currently living in HK and honestly everyday is a perfect day.. although I think there are a lot better things to do than go to ocean park..hehe. 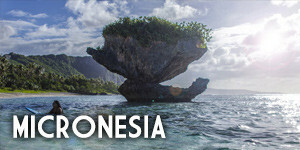 I also lived in Micronesia.. glad I came across your blog, seems we have a lot in common.